Find a BOSS Profile Business Profile for "Dawgelene Sangster Brand"
Free assessment and media support for your business. Think It. Live It. Inspire It. Contact: Dawgelene Sangster, Strategist. Influential Journalist. Author. Authenticity Expert. Dawgelene or “Dr. Dawj” as she is often called, is considered the Doctor of Motivation. She is a world-renowned Life & Business Strategist, Influential Journalist, Author and Authenticity expert, who has won numerous awards for her work in serving people and the community. She been seen on OWN network with Iyanla Vanzant and Six Brown Chicks, and has had appearances on Oprah’s Life Class, WCIU and Windy City Live. She has connected with and interviewed some of the most amazing talent to include Bishop TD Jakes, Kevin Hart, Dwele, Ledisi and Mos Def, etc. 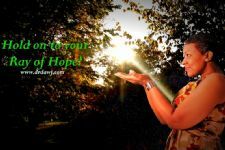 Born in the inner city Englewood community of Chicago, she is a living testament that you can live a purposeful life regardless of experiences with abuse and homelessness. She turned her pain into purpose and now spends her time bringing hope to others across the globe through living authentically through her writing, serving others and motivational speaking. She believes in thinking, living and inspiring hope in those she connects with daily. Dawgelene is a Business Psychology Professional, Certified Life/Spiritual Coach, Ordained Minister, Certified in MBTI personality assessments; has completed numerous leadership education in business and ministry; Certified in Quality Matters for higher learning; has a B.A. in Business Administration and Human Resources, an M.A. in Business Psychology and is working on her dissertation in Organizational Leadership.